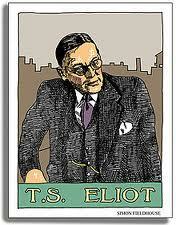 I take a line from Thomas Stearns Eliot, and remark, casually in Tweet that his lines are Gulzaresque. Friend wants me to explain. I have no real clue. Just the imagery, I suppose. At least initially. Here is that line. Of restless nights in one-night cheap hotels. Those lines are clearly Gulzaresque to me, but I had no easy answer. And hours later, something stirred within, as this song started playing in the head. It kind of fell into place. 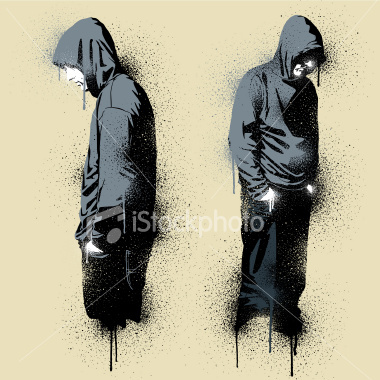 "Ek Akela Is Shahr mein" -- on a lonely man in the city, an angst-ridden song. Bhupendra's gravitas-laden, somewhat muffled voice, giving a sombre shape to Gulzar's lyrics. So I look at the first lines of the same poem by Eliot ( The Love Song of J. Alfred Prufrock). I have read and admired snatches of this poem before, but never really asked myself why, apart from being taken in by the sheer dexterity of the expression and the feelings embedded. Let us go, through certain half-deserted streets. I now look at the lyrics of Gulzar's song for the film "Gharonda" -- an arthouse film about a couple's anxious search for a home of their own in Big Bad Bombay. So I look at Eliot's lines again. The imagery is stark. You can feel the city. And Eliot, suddenly, with his American accent, is kind of telling you, "Ek Akela Is Shahr Mein." So here is Eliot, in the same poem again. 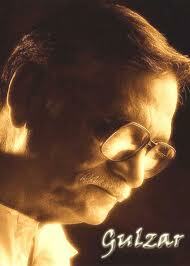 Street long as life - Gulzar. By now, I am certain that Mr. Prufrock is the Akela in the Shahr. And I look at the "mukhda" --the starting refrain -- of Gulzar's lyrics. I now see the imagery of a day, snatches of urban angst, and loneliness gripping the London-influenced Eliot and Bombay-honed Gulzar intertwining with full force as I read these lines. If there is any doubt left in me, it is cleared by the following passage in an introductory remark on the Eliot poem, published here. "The poem displays several levels of irony, the most important of which grows out of the vain, weak man's insights into his sterile life and his lack of will to change that life. The poem is replete with images of enervation and paralysis, such as the evening described as "etherized," immobile"
And I realise the immense commonality of two poets in urban angst -- continents and languages apart and separated by three quarters of a century. It is all in the point of view. Sitting on the 18th floor of the Westin hotel on the Western Express Highway – or is it the 17th? – the view is stunning as we look at the distant condominiums with a golf course in the Goregaon area – green, serene and resortish. The perspective from the coffee shop’s charmed glass window is not quite the Bombay we are used to – noisy, bustling, congested. We are on our way to Malad, the Coke guys and us, and there is a sense of thrill. Finally, Coke Studio is happening in India, and over some eclectic banter on the flight with Coke’s senior brand manager Abhijit Datta, I get some interesting tidbits on the phenomenon that has become quite the rage in a new-new South Asia. Apparently, Coke Studio was not born in Pakistan, as it is often believed, but in Brazil, as Coke Estudio. And the man who made it happen there – Ricardo Fort - - was, believe it or nuts, until recently posted in India as vice-president, marketing, though it beats me how this novel experiment of putting rock stars, folk singers and sundry musicians in a novel, milkshake concoction did not happen during his Indian reign. Beyond the fish-smelling suburbs of a sultry Mumbai afternoon suburbs, beyond the Shiv Sainik posters promising moustachioed regionalism, beyond scurrying, emaciated Mumbaikers, we reach a place that is now Coke Studio for us. This could be a haunted house in a nice Bollywood flick, where they have the final fight scene. It is some old Goanese-style mansion. Inside, I see a counter-intuitive sight. My bad. I expected some cosy, concert-like atmosphere with a decent crowd being enthralled in sequence by a procession of talented musicians. But, no. This happens to be just a studio, where the focus is on the recording. Just a few moveable chairs strewn in the darkness for us. And like a Bollywood movie, there are takes and re-takes and re-re-takes and re-re-re-takes. 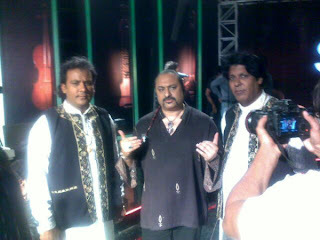 Sabri Brothers (the local brew, not the original Pakistani singers), are busy doing what could be a rock qawwali of a song that we used to sing more in jest than in profound musical experience as children: “Hamein toh loot liya milkey husn walon ne, kaley kaley balon ne gorey gorey gallon ne.” The folks apologetically tell me as I see 18 re-takes that it is not always this bad. Songs move faster in the series of recordings that preceded this. Guided by Aditya Swamy, MTV India’s channel head, I am taken to a waiting van outside (the kind in which Bollywood stars dab make-up and give interviews to Page 3 journos). In a laptop, they make me taste the sounds that happened before. Good stuff, actually. There is Harshdeep, there is Shaan, and there is a Bengali folk singer called Sourav Mandal and a Tamil folksie, “Chinna Ponnu” (literally, Little Girl). It is clear to me by now that the magic of Coke Studio, is, well, in the studio. Much mixing and bartending will make this drink hit you. And a big question hangs. Why is this all so Bollywoodesque? The Pak version was more Sufi rock, wasn’t it? Inside, Leslie Lewis, the talented composer, producer and guitarist who ought to be the alter-icon to any Rahman-respecting aficionado, explains in a simple analogy the daunting challenge he has faced in the 40 days of a Lent-like penance that audaciously straddles the superficiality of the pop culture and the richness of a heritage it is trying to court. “I am giving them some bitter chocolate. And then I given them the chocolate they are used to, in the hope that later, they discover the bitter taste.” To good effect, he adds his own intuition as he experiments away. Ramya Iyer, the dusky “English pop” singer I hang out with as the Sabri Brothers drone on in re-takes, has a rich voice and so Lezz decides to do away with all musical instruments for her -- but for a sound pad. With her is Roop Jolly, a poetess. The surprise is that Ramya sings a Urdu ghazal (Aaj jaane ki zid na karo) and Roop intersperses it with recited poetry. This is all so experimental. Lezz has not slept much for 40 days, and his supportive wife is hanging in there, helping him every step as he walks the crevices of an uneven, glacial musical landscape. And Lezz is no mere composer, but a medicine man. His plaited hair waving, he gestures to the musicians from a console as he brews what he hopes will be a trick that works. In another console a few yards beyond, Samar Khan, with a crutch to guide him after an accident, watches as a key member his team is guiding the cameras like a soccer coach shouting to half-backs. The mission of this man, who directed the 2008 movie “Shaurya” is to add to the event some of the Red Chillies (the SRK company) he works for now. The red-and-black colours of the studio glow amid the cameras and I get one more hang of what will eventually become a TV experience: angles and lights and sounds in a Coca-Cola concentrate formula. The logic of the focused factory over the magic of the spontaneous craft. As I get ready to take the flight back, the music seems more evolved. There is seasoned Kay Kay and there is the talented Mathangi, trying to do a pleasant, quicker version of the S.D. Burman classic, “Khilte hain gul yahan.” The humming is nice, the reverb just fine and the song somehow sounds alluringly new. The challenge for anyone who has tasted the Pakistan stuff is to shed the baggage and look at the Indian Coke Studio with a new pair of eyes. The burden for the Mumbai gigsters is to be odiously compared with the geniuses of Lahore. The challenge for Leslie Lewis is to make it all somehow popular with the kids who watch MTV (er, aren’t they drooling on foul-mouthed Roadies, otherwise? ), while he tries to transplant a Sufi-folk soul into the humdrum of the Bollywood culture. Bitter chocolates are so hard to sell to sugar-high kids.